This elegant two bedroom holiday home is situated in the southern region of the Drôme Provençale. It is nestled within a beautifully landscaped garden and boasts a spacious terrace. 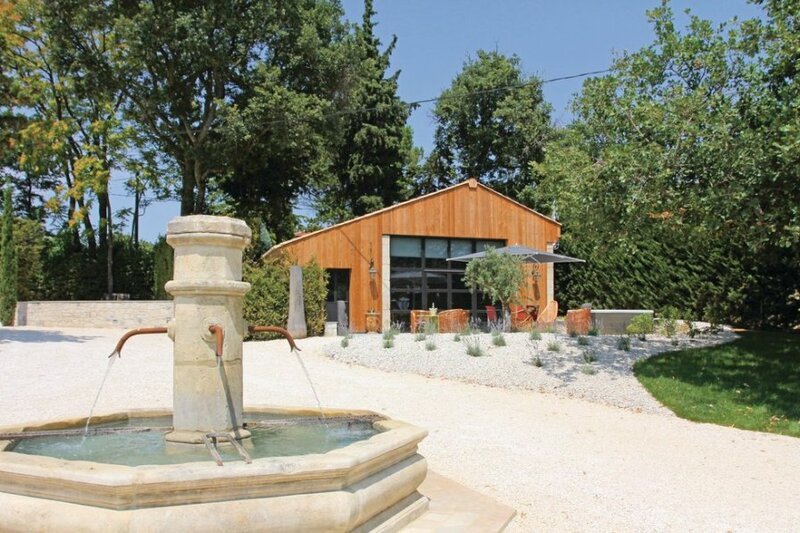 This elegant two bedroom holiday home is situated in the southern region of the Drôme Provençale. It is nestled within a beautifully landscaped garden and boasts a spacious terrace, an outside shared swimming pool (with owners) and an outdoor hot tub. Inside, the bright and comfortable interior creates a relaxing ambience. Spread across two floors, the holiday home includes an open-plan kitchen and living area, a bedroom and two bathrooms on the ground floor and a second bedroom on the upper floor. Be sure to explore the Rhone Valley and its popular wine route - particularly towns such as Gigondas, Cairanne and Châteauneuf-du-Pape, which are wonderfully connected to one another. Grigan is also well worth a visit and is approximately a half-an-hour drive from the holiday home. You may also wish to enjoy a relaxing walk in the picturesque Saou forest. This beautiful villa is made from wood and brick and was originally built in 1930 and refurbished in 2015. The agent has rated it as a four star property so it is a well-equipped villa with above average furnishings. It is also great value for money. This villa has use of a shared pool and is located in La Bâtie-Rolland, only 10km from Montelimar. It is set in a good location: there is a restaurant 2km away.